Price: EUR 13.50 (costs of postage and packing is NOT included in this price). The Whippet “Ricky” stood for model, also Sloughi “Shari” and Saluki “Gorazan”, but and/or adopted animals are also mentioned. 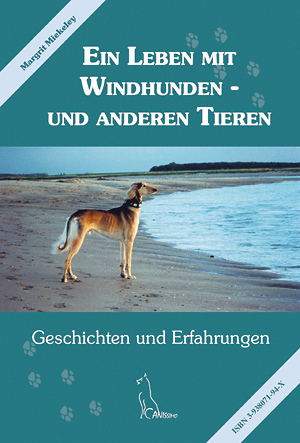 Now the book is ready and the announcement to publish animal stories became true! 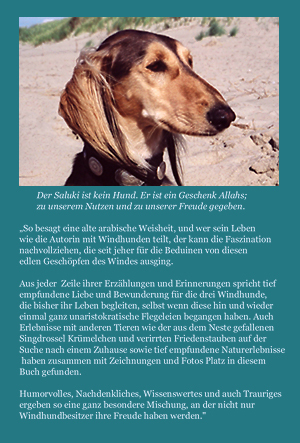 I am pleased to be able to communicate the fact to the readers of my homepage that the First Edition of the book “a Life with Sighthounds - and other animals” has just appeared in 2005. Secure your copy immediately and order yours with me or with the publishing house. More information are in the Book Review of Astrid Mögling. How this book curiously become reality, you want to know? You should know NOW… Do not wait!